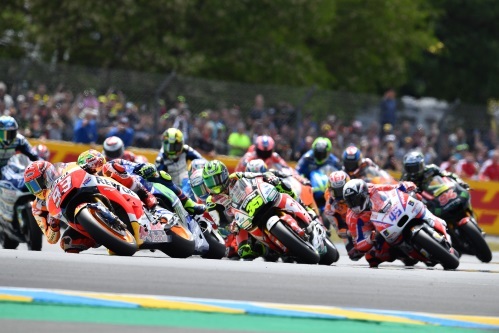 Dorna Sports is pleased to announce that Silverstone Circuit will continue to host the British round of the FIM MotoGP™ World Championship for the next three years. The 2018 event will take place over the weekend of the 24 - 26 August, with the contract securing the future of MotoGP racing in the UK following the termination of the Circuit of Wales agreement. Stuart Pringle, Managing Director of Silverstone commented: “A lot of time and money has been invested in recent years to ensure MotoGP fans, teams and riders enjoy what Silverstone has to offer and we are delighted to have secured the contract to 2020. Two wheel racing is as much a part of Silverstone’s heritage as four wheel racing and we are looking forward to welcoming the Championship and its fans back to Silverstone next August. For further information, or to book tickets, visit www.silverstone.co.uk or call 0844 3750 740.